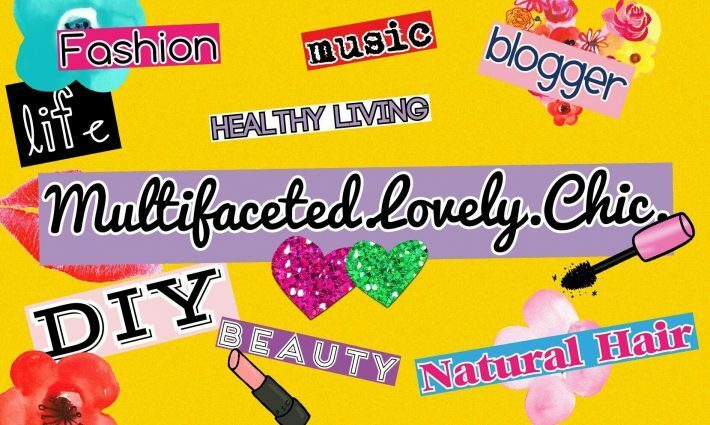 How I Treated My Acne-Prone Skin – Lovely.Multifaceted.Chic. I have been looking forward to writing this post about how I have been treating my acne-prone skin. For those you who have been dealing with acne, the experience is not great. It can be painful and uncomfortable. Back in 2013, my skin broke out terribly. I have always had breakouts, but I have never experienced my skin being in such a severe state. Here are before pics back then. Yes, I am slightly cringing right now. Here are very recent pic of now. There is no editing or anything. I began to take a holistic approach to treating my skin last year because I got frustrated with trying so many creams and cleansers. I tried ProActive, Murad, and other commerical acne treatment systems. The dermatologists were not helpful and prescribed me meds that did more harm than good for my skin. I noticed that my skin worsens when I am stressed. During the time when my skin got worse between 2011 to 2013, my stress levels went up due to my job as a mental health therapist. I dealt with a lot of serious cases and work demands. It seemed like each job situation went from bad to worse. In 2014, I stepped away from counseling which brought a lot of my stress down. During the time I took the top pictures, I went vegetarian for a while and began to workout everyday to alleviate stress, but I failed to care for my skin properly. So, here what I have been doing since last summer to revive my skin. I removed myself from the toxic, unhappy people– primarily work, friendships, and some family. I started using products that treated and healed my skin. I also did research, because vegetarians and vegans suffer from acne issue. I stopped wearing foundation in the fall of 2014. I literally used foundation to hide my skin issues which was not a good idea. I have been foundation free for almost two years and my skin is doing well without it. The first item I started using was tea tree oil. I read that this oil dries up pimples and has other skin health benefits. I put the oil one a cotton swab and I dab the oil directly onto my breakouts at night. I usually do it at night before I go to bed. The first night I tried tea tree oil, all of my pimples literally shrunk in size significantly. Make sure you test tea tree oil because it is strong. I got this tea tree oil from Wal-Mart. I have also used other brands of tea tree oil as well. My skin is super sensitive to sunlight. It breakouts if I’m in the heat too long. I love being outside so, I increased my SPF from 15 to SPF 30. I have super duper oily skin, but those of us who have oily skin still need moisturizers. This moisturizer helped me to protect my skin and reduce oil dramatically. I cannot exaggerate how oily my t-zone would get. Black Soap. I use the Dudu Osun brand of black soap (I purchase it from Amazon.com). I have used other brands but this particular brand works the best for my skin. It’s mild on my skin and it has natural ingredients. Black soap in general is used to minimize skin issues. I use black soap on my body and it has helped with my chaffing on my skin. This serum cleared up the dark spots and blemishes on my skin. I started noticing a difference in my skin in about two weeks. This serum helped my skin heal from old acne scars and it helped speed the process newer pimples. I use to buy this at Wal-Mart but it is cheaper on Amazon.com. Generic Garnier Dark Spot Corrector Moisturizing Cream. I use the Equate (Wal-Mart) brand of the Garnier Dark Spot Corrector. I love the generic brand moisturizer because it’s lightweight and helps my skin feel soft. The Garnier moisturizer flakes and peels which means that it does not absorb in my skin. HONORABLE MENTIONS: These are products that use occasionally or as needed. I started using this mask to help my skin hydrate and heal my skin. This mask has the serum in it. I use this mask infrequently or once or twice a week or whenever my skin is getting stressed. I started using these mask after seeing them at Walgreens on sale. I now order the box of six on Amazon (which is half the price you would pay at Wal-Mart or Walgreens). Peroxide is a great, inexpensive way to kill bacteria on the skin. If you pop pimple, peroxide is great to put on your skin to treat the area of your skin to prevent inflammation. I used peroxide often when my skin was really inflammed and I use it occasionally when I pop my pimples ( don’t judge…much). I really hope this post help those of you who have been having challenges with treating your acne. If you found this post helpful don’t forget to like, comment, follow the blog.